Cisco Supporting Video "From the Browser to the Boardroom"
May 20, 2014 | David S. Maldow, Esq. 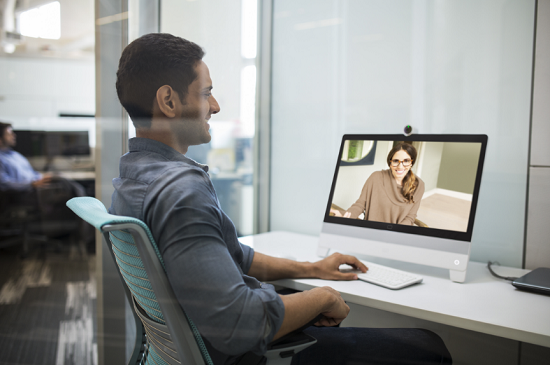 Cisco announced three new offerings today designed to help their users keep connected to their enterprise video network at their location of choice. 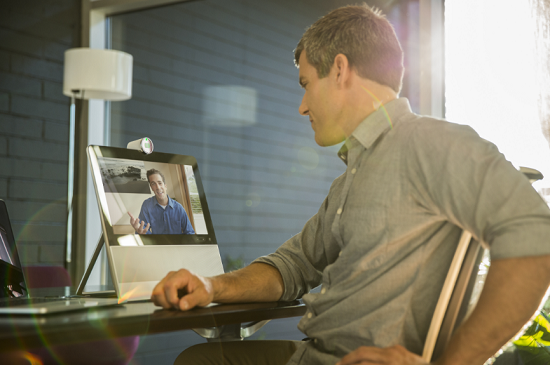 Cisco's video portfolio has found great success with high end installations and enterprise deployments. 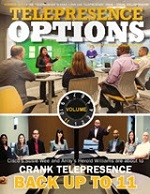 But the market is changing and video is moving from a meeting room tool, to a core communication capability. Cisco has responded with two new hardware offerings, supported by a new cloud meeting room service. 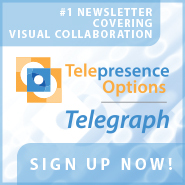 I was originally taken back by the idea of a purpose built desktop device for videoconferencing. After all, I already have a monitor on my desktop, so why not just use Cisco Jabber? Then I looked at this, not as an addition to my computer, but as an upgrade/replacement for my desktop phone and it started to make more sense. I am ok with having one communication device on my desk, and the new Cisco DX70 and DX80 have a lot to offer in that role. Aside from the high quality video and audio (based on specs and feature lists), I really appreciate the fact that it is a full function, touchscreen, Android device. This makes it a multipurpose device, so it isn't just wasting desk space in between phone calls. It can even automatically pair with your smart phone, basically giving you a big version of your own smart phone in your workspace. Looks like Cisco has joined the cloud meeting room game with their new CMR offering. While we wait for the pricing and details to shake out, it appears to be a competitive offering to the many upstart cloud services in our industry. Considering how many Cisco devices are currently making calls every day into rooms supported by upstart cloud services, this is an obvious target for Cisco. Based on their history with WebEx, they have the experience to manage this type of service at a massive scale, so this could be a game changer. With the recent announcement of their new Spring Roll concept, and today's worker focused offerings, it is clear that Cisco is still looking to both dominate the video game as it currently exists, expand and scale down from the boardroom, while continuing to push forward with new high end immersive technologies. Cisco Supporting Video \"From the Browser to the Boardroom\"